While most homeowners know how important it is to clean their carpets on a regular basis, it’s a big job that no one really enjoys doing. It is easy to procrastinate, but if you can find an affordable, reputable company to do the job for you, that will make it much easier. 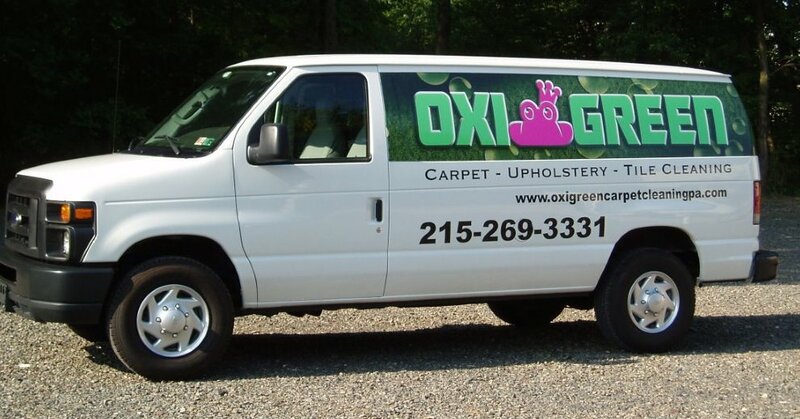 At OxiGreen Carpet Cleaning and Repair in Levittown, PA, that’s just what we would like to do for you! As a result, we have put together a couple of great package deals to offer our customers. We have a super 5 room carpet cleaning special for only $191! Not only will our skilled technicians clean five carpeted rooms plus one hallway, we will also move lightweight furniture, inspect the entire area for signs of stains or other problems, precondition and clean the carpeting, and vacuum when finished. We are confident that you will be pleased with the job we do for you. Another great advantage to OxiGreen’s professional service is that the only cleaning agents we ever use are 100% “green”. This means that they are all natural, non-toxic and biodegradable, making them entirely safe for the environment and most importantly for your family. We team these “green” cleaners up with our professional, top-notch, truck mounted cleaning machines to provide a deep and thorough cleaning. Our machines shoot hot water into your carpets, going deep enough to dislodge the massive amount of debris lodged there. When our machines extract the water, we also extract the vast majority of pet dander, dirt, dust mites, bacteria, mold spores and pollens that you didn’t even know were trapped there! Give OxiGreen in Levittown, PA at call at 215-269-3331 for a free quote or to schedule a no-cost, no obligation carpet assessment in your home. With our 100% customer satisfaction guarantee, our 100% green cleaning and our great package deals, you will be glad you called OxiGreen!